Flying Trapeze, Tumbling and Circus Skills, especially for kids. Develop self esteem, strength, fitness and skill in a fun and supportive environment. Term classes for older kids and teenagers. We offer Flying Trapeze, Tumbling, Circus Skills and Aerials including Lyra/Hoop and Tissue/Silks. 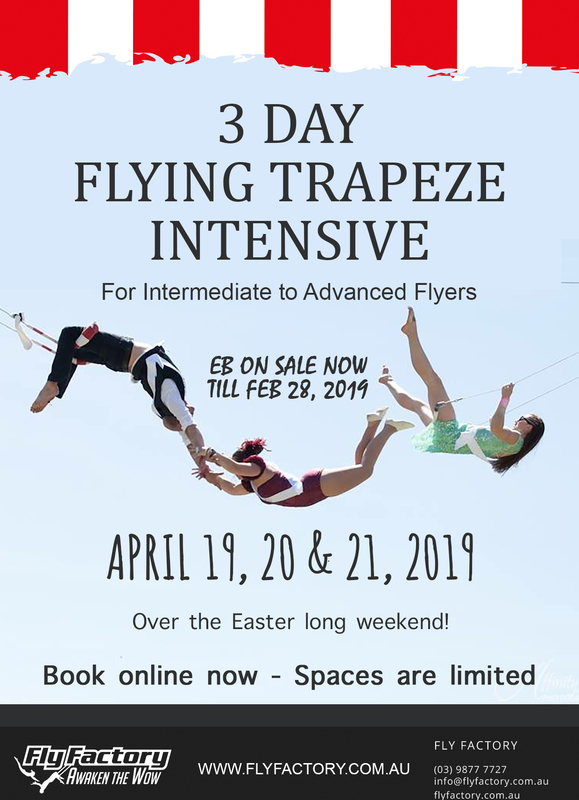 Flying Trapeze and Aerial Silks classes for adults of all ages, fitness levels and abilities. 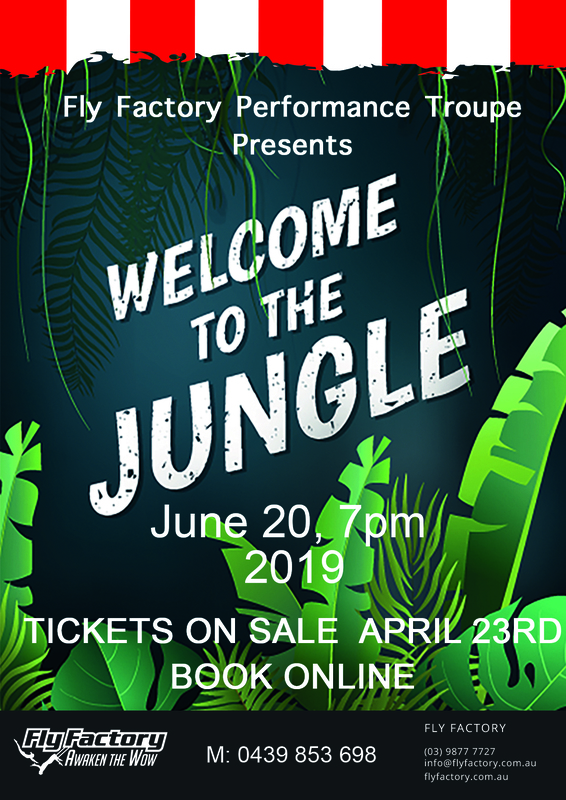 We welcome absolute beginners to professional performers. Fly Factory students and staff are bound by a strict Code of Ethics and Social Media Policy. Purchase Gift Vouchers and Pre-Paid Packages for casual classes and workshops. Packages for group team building exercises & corporate functions. Fly Factory is proudly associated with the Fly For Health not-for-profit organisation. 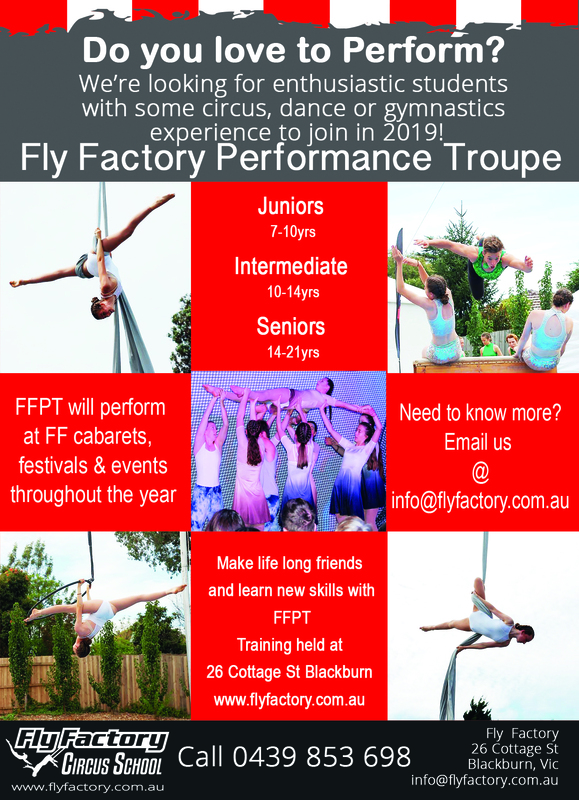 Fly Factory is home to Melbourne's only indoor, full sized, flying trapeze rig. We offer a range of classes for adults and children, including Flying Trapeze, CircFit, Aerials and more. 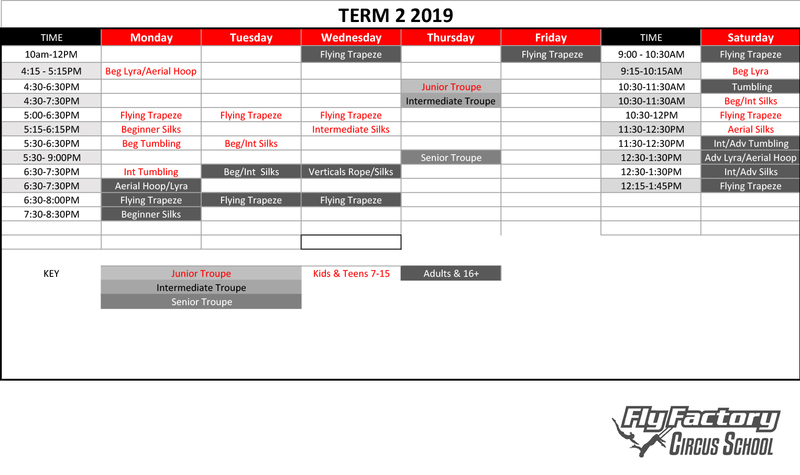 Book online for term or casual Flying Trapeze classes, or sign up for one of our flying trapeze workshops at Fly Factory's indoor location in Blackburn. For those who like to do it outdoors, why not try a flying trapeze workshop or intensive at one of our seasonal outdoor locations?